If you are looking for one of the few Professional Magicians in Portsmouth, you might have just found him! 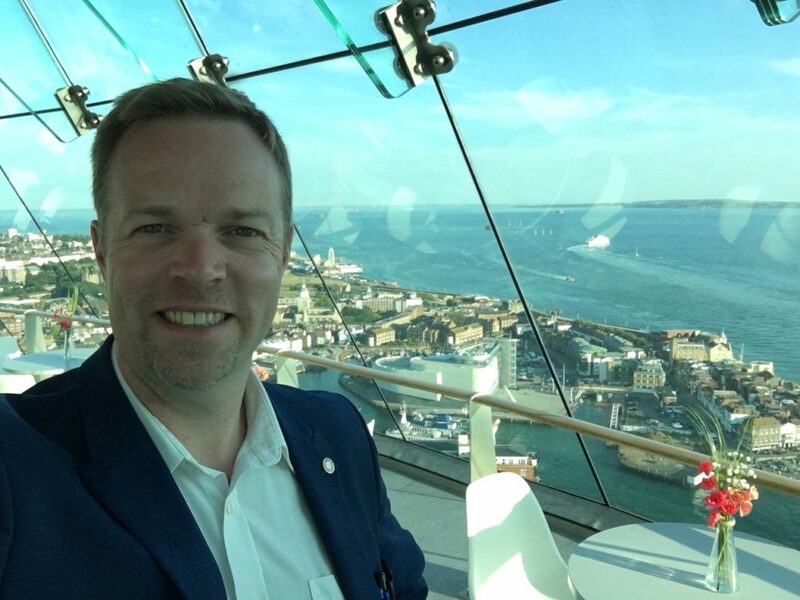 Roger Lapin has been performing as a Table Magician, Close up Magician, Wedding Magician and Party Magician in Portsmouth for many years and has recently entertained guests at the top of the Spinnaker Tower in Gunwarf Quays! If you have never booked a magician before and are not sure of the process simply give Roger a call or drop him and email. Tell him for what event you are thinking of having a magician for and a rough number of guests and he can give you a personalised qoute. Close up Magic is charged by the hour with a dimminishing scale the longer he performs for. If your event involves a sit down meal a Table Magician can move between the tables performing their close up magic to the seated guests. Roger is equally at home performing as a Table Magician or a Close up Magician mingling with guests at a drinks reception or private party. If you are having a Birthday Party, a Private Party, a Christmas Party or just a Party! A Magician is the perfect entertainment to keep all your guests amused. Roger’s favourite magic performance is as a Christmas Party Magician as spirits are always high and a great time is had by all. Getting married? Have you booked your wedding reception entertainment yet? Why not book a Magician for your Wedding. A Magician at a wedding is the perfect entertainment for all your guests, young to old. Watch the video on the right to see the benefits of a Wedding Magician. Roger is a magician for hire and charges by the hour and prices are dependant on where and when your event is. For a personalised quote simply call or email Roger, let him know how many guests you are expecting at your event and he will give you specific price for your event. It all depends on what day your event is. Is it an afternoon or evening performance. Make your next big event a Magic one! Hire a Magician in Portsmouth. If you are looking for Wedding Entertainment in Portsmouth, a Magician is the perfect choice call now for more details.